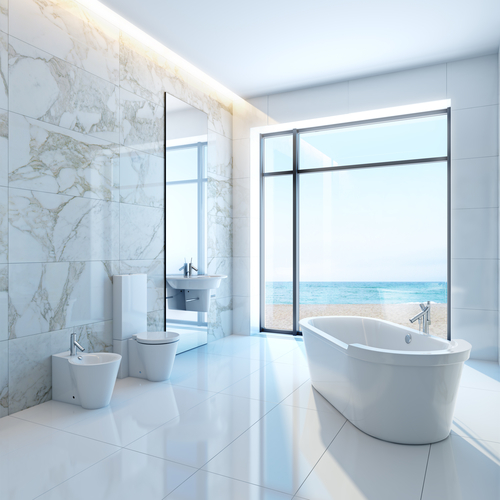 Bathrooms are high-traffic, functional areas of the home, which means they sustain more wear and tear than other spaces. Refreshing this room can enhance its appearance and make daily life a bit simpler. The professionals at Comfort Plus Baths in Saint Peters, MO, have been executing stunning bathtub replacements and full-scale remodeling projects for more than a decade, and during that time, they’ve come up with a few fool-proof ideas. Below, they provide some inspiration to upgrade this area of your home. Standalone bathtubs add a timeless elegance to any space. You can choose a sleek, rectangular design to add a bit of little flair to the room, or you can opt for a curved, oval-shaped tub for a softer look. No matter which design you choose, the tub will be the perfect spot to enjoy a relaxing bubble bath at the end of a long day. Because bathrooms tend to be some of the smallest rooms of the house, it’s important not to overwhelm these areas. Keep the décor simple to achieve an inviting, serene ambiance. Invest in floating vanities that offer significant storage space to hide supplies like towels, soaps, and toiletries, and use shelves to showcase accent pieces, like live plants. Again, the size of these rooms can make them feel a bit closed-in, so light, neutral color schemes will work best. Many homeowners pick earthy tones to achieve a spa-like atmosphere. Variations of beige work well, but gray is also very popular and can be used to create a subtle coolness. If you do choose to incorporate colors in this space, consider implementing towels and rugs in hues like coral, blue, or other shades that complement the base color. If you’re interested in taking on a bathroom remodeling project, turn to the team at Comfort Plus Baths in Saint Peters, MO. Their detail-oriented experts offer solutions for every budget, and they will transform your existing space into the room of your dreams. Visit them online for more information on their services, and call (636) 928-4300 to schedule a free in-home estimate today. Shower Tub vs Walk-In: Which Is Right for You?